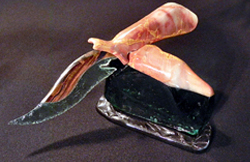 This artisan knife is an elegant example a knife in stone masterpiece. 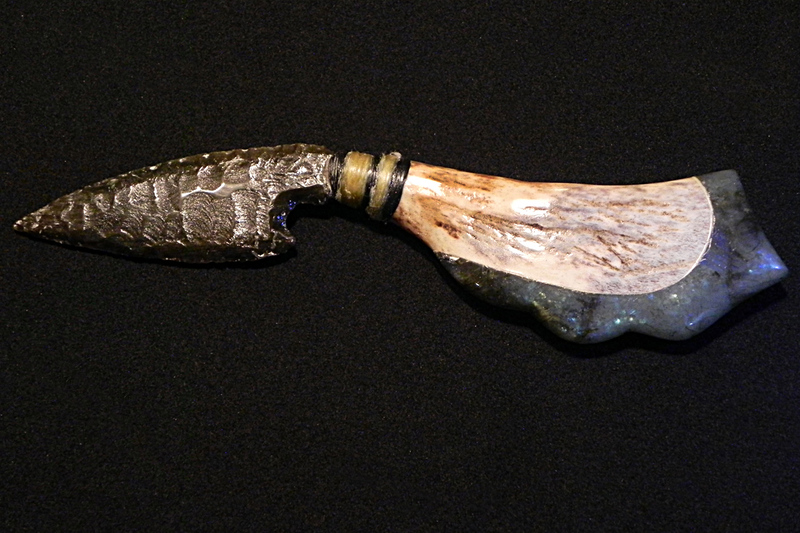 The 4” knife blade is hand knapped from beautiful rainbow obsidian. 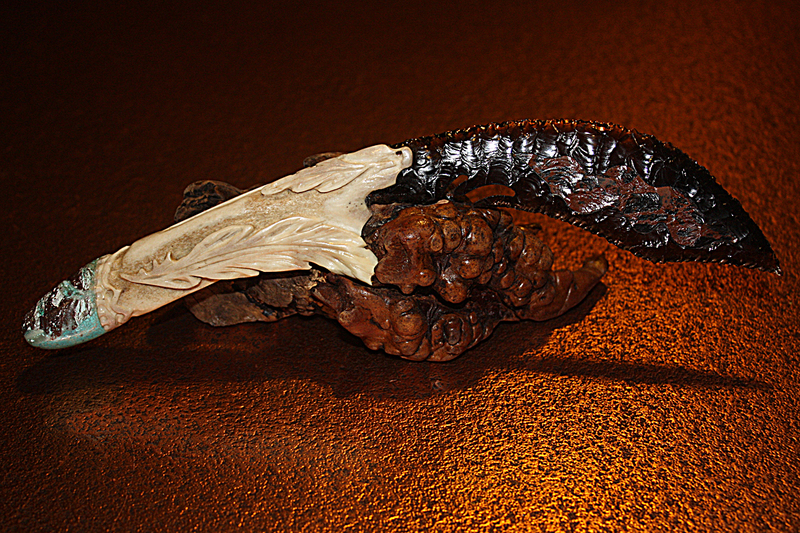 The 4” knife handle is polished Manzanita root, a hardwood shrub which can be found throughout the Pacific coast region from British Columbia to Mexico. 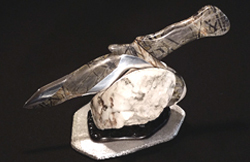 The overall length of this unique knife is 7″ and sits atop a beautifully polished petrified wood stand, reminiscent of the vertical granite monolith in Yosemite National Park. 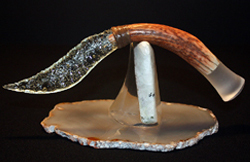 The entire knife sculpture rests on a base made from another fine piece of polished petrified wood. You won’t find another knife like this one, so don’t hesitate. Your knife is signed by artist Mario and shipped with a cerificate of authenticity. 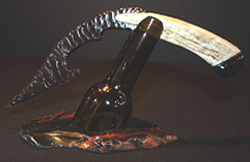 It’s a one of a kind work of art any collector would love to display.